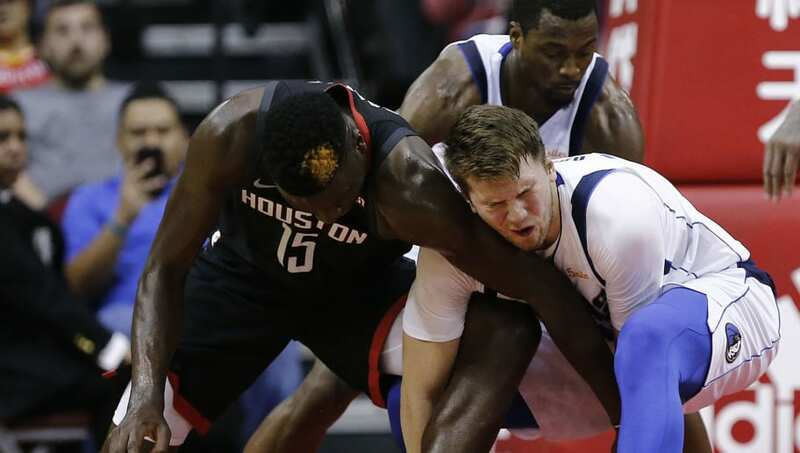 - The Mavericks have won two straight games over the Rockets, but Houston has won eight of the last 10 matchups between the two teams. - Houston is 25-29-1 against the spread this season and 15-12-1 ATS at home. - Dallas is the NBA's best ATS team, sitting at 35-20 on the year and 15-12 on the road. - Both Dallas and Houston have won three of their last four games and are 6-4 in their last 10. - Dallas has covered the spread in nine of its last 10 games. - Houston has covered the spread in just three of its last 12. - Tim Hardaway Jr. Points: Over 16.5 – We're still getting used to the fact that Hardaway is now on the Mavericks, but he's adapted well so far in Dallas. He's averaging 16 points per game across his first three showings, and he just scored 24 points in a win against the Portland Trail Blazers. He's certainly not shy when it comes to shooting with his new team either, as he's averaging 15 attempts per game. He scored 21 against the Rockets just a couple weeks ago and should see enough shots to push for 17 points in a high-scoring game against a team like Houston.